So you have decided to sell your home, but you don't know where to start. Here are 5 things you should do before you list your home for sale. 1) 30-60 days prior to listing, go through your home and pre-pack any items that you want to keep but won’t need prior to moving. You can rent a storage unit until your move or keep the boxes in the garage neatly. The idea is to make space in your closets and cabinets and to get a jump start on packing. Example: Holiday decorations, kitchen gadgets, extra linens, clothes and so on. This is also a good time to donate, give away or toss any items that you don’t want to keep. It is easier to get rid of items now than to pay to move them. Plus, you can always have a garage sale or sell some items on eBay to help raise cash. 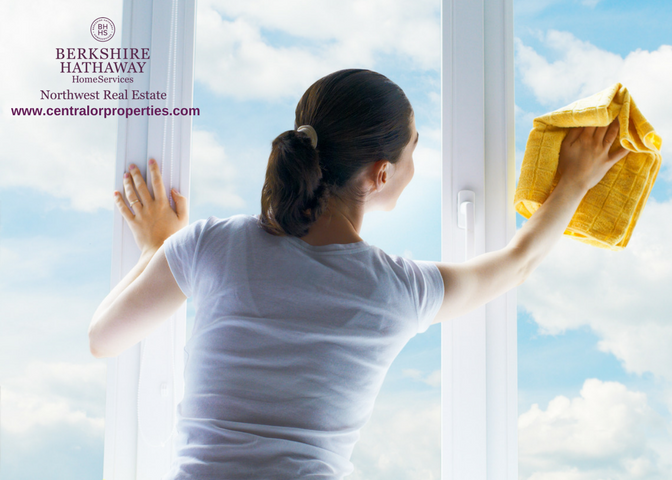 2) Wash your windows, clean your draperies, and dust your blinds. It is important to let in as much light as you can so that buyers can appreciate how light and bright your home is. It is also true that draperies and blinds hold dust and odors so cleaning them before selling is a good idea. You should also consider, replacing any broken blinds or taking down any drapes you plan to keep so that buyers can have a better idea of what the home will look like when they take ownership. 3) Get a home inspection. That’s right, home inspections are not just for buyers. Savvy homeowners can get a jump on minor repairs as well as budget for any major repairs needed before the home goes on the market. Another plus with having a home inspection done prior to sale is you will not be surprised with any unexpected repair items during escrow. Doing this beforehand also allows you to budget for larger expenses such as roof repairs or plumbing problems. Bottom line a home that is in good repair will be more attractive to buyers. 4) Work on your home’s curb appeal. The old saying that you only get one chance to make a first impression is also true for homes. Look at your yard and ask yourself how does my house look from the curb? Can you see the house or is it hiding behind a bunch of overgrown greenery? If you have lived in the home for a while you may need to trim up the trees and cut back the bushes. Does the house look fresh and appealing? Do you need to paint or stain the front door? Is your driveway stained with oil spots or do you need to power wash the home? Sometimes all you need to do to make a big difference is give the yard a good clean up. If you don’t feel comfortable doing these items it may make sense to hire a professional. 5) Staging can help your home sell for more money. Consider hiring a professional stager to give you advice on how best to arrange your existing furniture. Stagers will show you how to make the most of your rooms, improve traffic flow, declutter, and improve your interior design. Staging with your furnishings, art and décor items is a great way to show your home off without spending a lot of money and should be the last step before hiring a Realtor as your home will be prepped and ready for photos and buyer walkthroughs.